MakerSat 0 is a 1U CubeSat designed at Northwest Nazarene University for a technology demonstration of a fully 3D printed satellite structure with a common power, control, computing, and radio communication architecture connected to four science boards that integrate into the platform in a modular manner to allow it to host payloads from different operators. 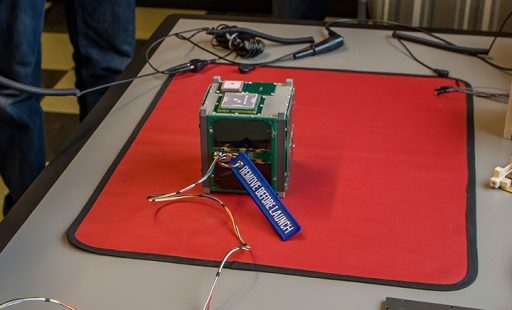 Two demonstration launches are planned to qualify the MakerSat for operational use in hosting single-board payloads from commercial and educational operators. Extending the MakerSat concept, designers foresee a capability of launching CubeSat components to the Space Station, manufacturing structural frames as needed using 3D printing and having ISS crew members assemble modular platform components and integrate them with single- or multi-board payloads on ISS for deployment. 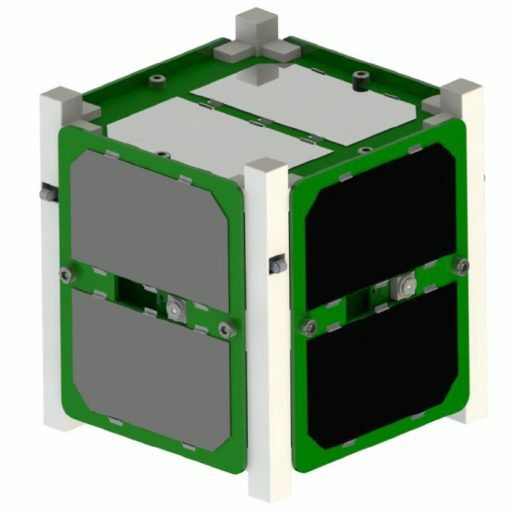 The MakerSat 0 satellite hosts science payloads looking into the degradation of different additively-manufactured polymers in orbit as a result of mass loss due to atomic oxygen, UV radiation, ionizing radiation and outgassing. Structurally, the MakerSat design employs four polyetherimide (PEI) 3D printed rails that slide and snap together with six Printed Circuit Boards without the use of any tools, allowing the satellite to be put together in a period of minutes, also avoiding any free-floating small components that could pose a danger for in-space assembly of the satellite. Once the six PCBs are ingrated, the satellite platform can be powered up via a USB port and go through checkouts prior to deployment. MakerSat 0 was manufactured by a Made In Space Additive Manufacturing Facility similar to that on the Space Station while MakerSat 1 will demonstrate the ISS-based assembly process. 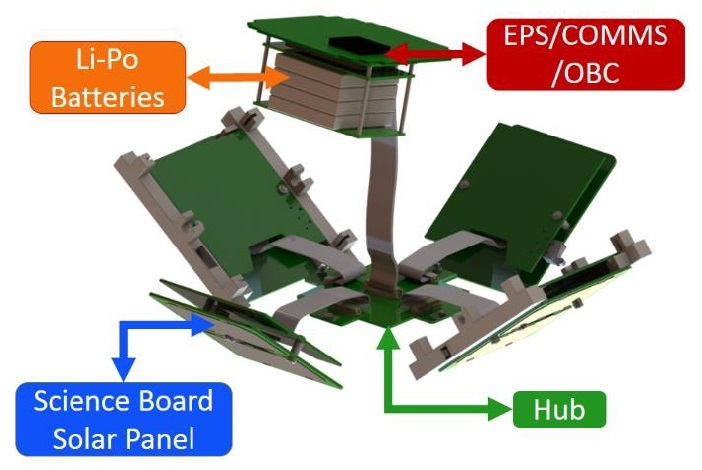 The MakerSat platform comprises a central Hub that interfaces with the four Science Boards which reside on the back of the four solar side panels with the Hub itself facilitated on the bottom panel and the combined EPS, Comms and Onboard Computer package on the topmost panel. The Hub hosts a microcontroller to build the central interface for all CubeSat subsystems and also facilitates an Inertial Measurement Unit to provide attitude data in addition to the solar cells on all outer panels that can be used to determine the solar vector. The solar boards include cut-outs for any external sensors of the payloads, e.g. cameras. The individual components (Hub, EPS/COMMS/OBC, solar panels and science boards are pre-assembled on Earth and fly to ISS in a low-vibration environment, protected by packaging inside an ISS cargo vehicle. The central Hub concept was chosen to provide a single connection point for all satellite components and thus reduce the probability of assembly errors. It also allows for equal access to the satellite’s resources for all four science payloads. The Hub provides sequencing, control and data return to all four science boards, operated in a peer-to-peer design with the OBC/EPS where the Hub is in charge of commanding the EPS to cycle power to the payloads according to their duty cycle. The Hub also offers additional computing power and memory for the science boards and collects all science data from the boards and prepares it for transmission to Earth via the COMMS section. An 8-bit PIC microcontroller with extensive flight heritage serves as onboard computer and handles all payload operations as well as science board commanding. Power is generated by 28% Ultra-Triple-Junction solar cells with two cells in series per solar panel to deliver 4.7 V, 2 W from each board under full illumination. Four Li-Polymer batteries with a 4.4-Ah capacity at 7.4 V provide power storage. Attitude stabilization is accomplished with a simple solution using a permanent magnet to keep the satellite aligned with Earth’s magnetic field. Communications are handled by an EyeStar Simplex radio to communicate through the GlobalStar satellite constellation and provide a 24/7 data downlink capability with near global coverage via 14 ground gateways from where the downlinked data is uploaded to the Internet for access by the science teams. 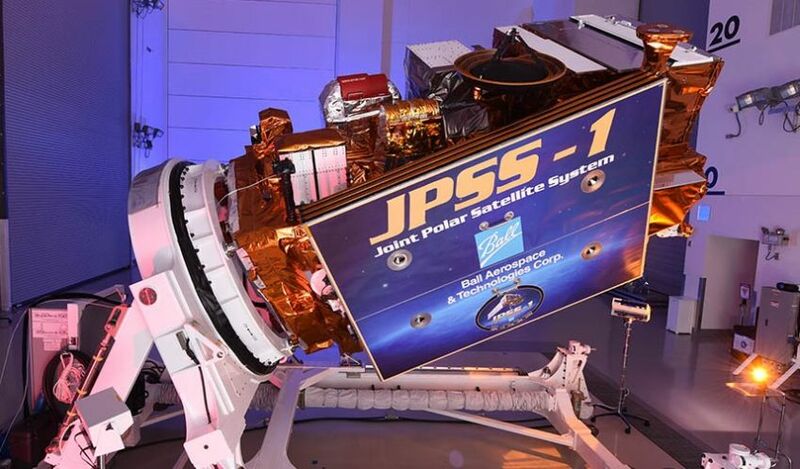 The EyeStar radio will transmit 18-byte satellite health packets with telemetry values such as temperature and bus voltage and 39-byte science data packets containing data from the science boards. The total data volume per day is expected to be around 50 to 100 kbyte/day, limited by the power budget and data rate costs. The Simplex radio will also allow insight into satellite status via a beacon signal should the Hub or combined OBC/EPS suffer a failure. The science boards can either use I²C or SPI interfaces to communicate with the Hub and MakerSat also supports General Purpose Input/Output (GPIO) digital logic lines and serial communications. The Hub, based on the duty cycles for each science board, will cycle the 3.3 V power supplies of each of the boards to switch it on/off and it also isolates the I²C and SPI lines of boards that are inactive. 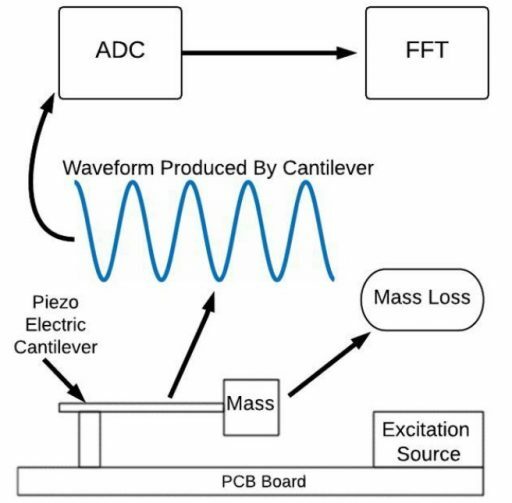 MakerSat 0 hosts two science boards for the Polymer Loss Experiment, an Imaging Board with an Earth observation camera, and a science board designed and built at Caldwell High School, Idaho. The Imaging Board Integrates a Commercial Off-The-Shelf imaging sensor integrated in the science board and viewing outside the satellite through a 32 x 9-millimeter port in the outer solar array panel. Images taken by the camera will be analyzed on board to discard any images that only show dark space and compression is completed using lightweight algorithms given the very limited memory on the satellite. The Polymer Loss Experiment will subject samples of 3D printed polymers to mass loss measurements at regular intervals to track how the space environment (oxygen radicals, UV radiation, ionizing radiation, vacuum outgassing) degrades different polymer materials. The mass of the test objects is measured by placing the 3D printed polymers at the end of piezo-electric cantilevers and measuring the change in resonant vibrational frequency of each cantilever from which the mass at the end of the beam can be calculated. 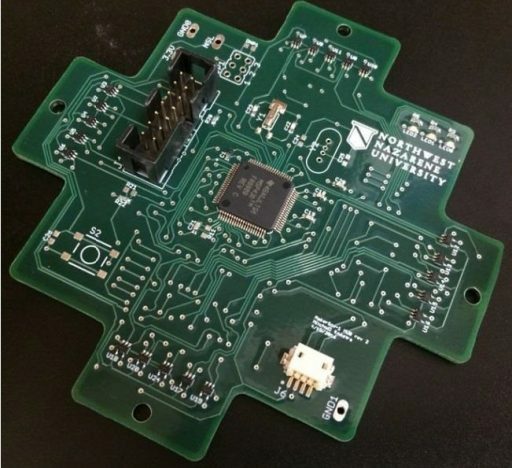 MakerSat 0 features a slightly different design than the operational MakerSats due to it being launched conventionally and having to withstand the launch G and vibration environment. Therefore, it uses a more rigid structure to survive the launch forces but retains the electronics boards from the operational satellites. 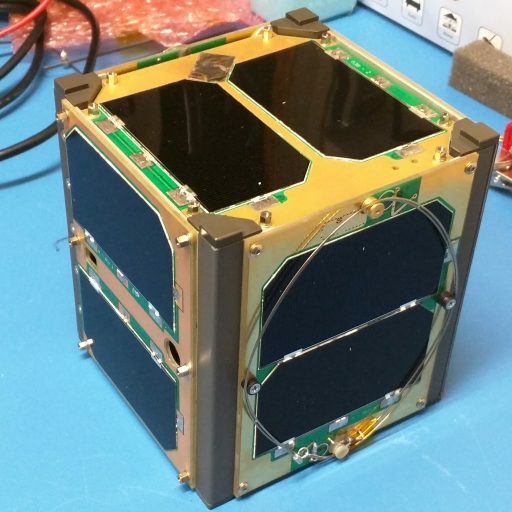 RadFxSat (Radiation Effects Satellite) or Fox 1B is a joint 1U CubeSat Mission by AMSAT and Vanderbilt University, combining an amateur communications payload by AMSAT and a technology demonstration payload from Vanderbilt to explore the effect of space radiation on electronics. 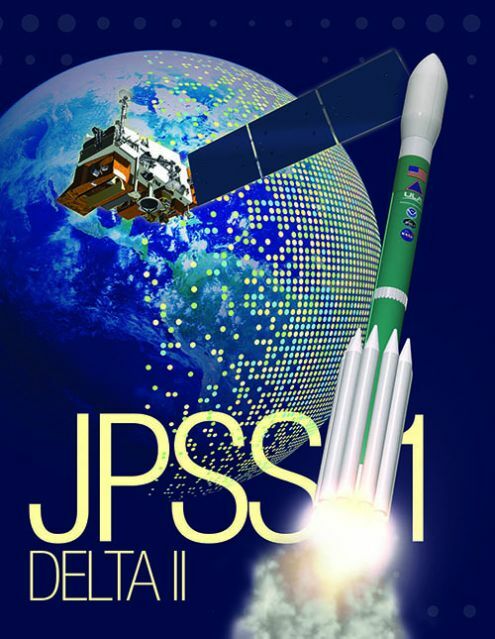 The Fox 1B designation is for AMSAT’s payload on the satellite which is identical to that on the Fox 1A satellite launched as a secondary payload on an Atlas V in 2015. It comprises an FM analog transponder for digital data rates of up to 9600 bps, serving in a U/v repeater function for amateur radio users. The satellite hosts a two-meter and 70-centimeter whip antenna. The Vanderbilt payload is designed to advance the understanding of the effects of space radiation on electronic components, demonstrating an on-orbit platform for radiation qualification of components for space flight and collecting radiation data to validate computer models used to predict radiation tolerance of semiconductor manufacturing processes. EagleSat is a 1U (10 x 10 x 10 centimeter) CubeSat designed, built, and operated by students at Embry-Riddle Aeronautical University in a project aimed to bring together all engineering disciplines as well as business majors for hands-on experience in the conduct of a satellite mission. The technology demonstration aspect of the mission is looking into space-induced bit flipping in various types of memory as a result of radiation. The Eagle Sat Project was selected to fly under NASA’s ELaNa program in 2013 as a primarily student-run extracurricular project. The satellite uses a conventional 1U CubeSat design with six stacked circuit boards inside the satellite hosting the various subsystems while the external side panels facilitate solar cells for power generation. The power system employs super capacitors for energy storage and communications are provided via UHF at 436MHz. EagleSat hosts a pair of payloads, a GPS receiver to track the decay of the cube’s orbit to provide information for decay and re-entry modeling. The primary science payload is a RAM memory stack to be monitored for space-induced bit flips with a solid state radiation detector providing information on the radiation environment experienced by the satellite.